ADDRESS: Hellenge Hill, Bleadon, Somerset, BS24 0NQ. England. UK. 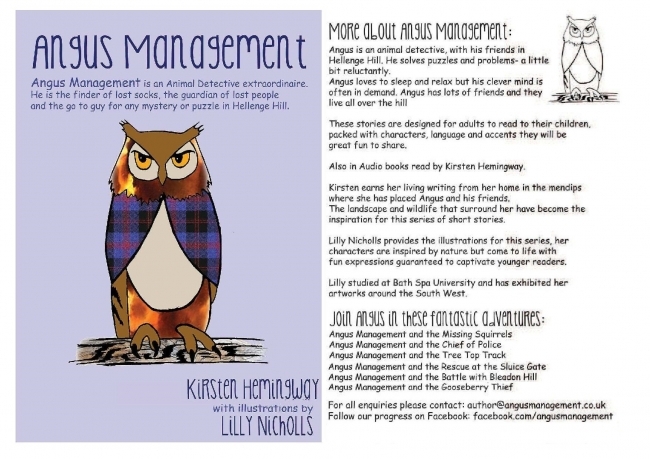 Angus Management is an Animal Detective Extraordinaire. He is the reluctant hero of Hellenge Hill in Bleadon, Somerset, England. 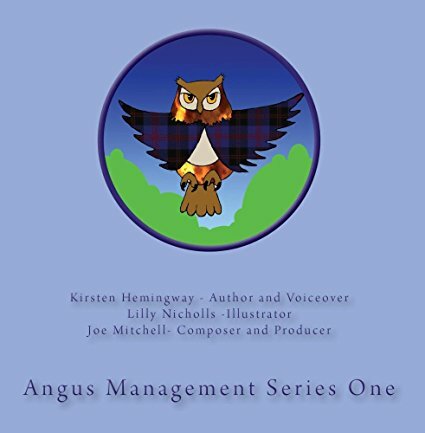 Angus has a host of unlikely friends who help him to solve mysteries and puzzles. We have created the CD so that you can play the stories to your children but when you own a CD you can send us a note and we will send you PDF's of the stories. This is so that you can read them in your own voice. Our stories are not simple and we think that very young children enjoy hearing stories with long words and difficult concepts. We know that the stories are fun for adults to read and if you are having fun then your kids will too. Reading is very important but sometimes it is hard being a parent and we have created this audio version to help you. Especially if you have more than one child to get to sleep at bedtime. It is easier for some children to fall asleep listening to a story than in silence. Angus is building a lively community of friends and fans on Facebook and we can respond to your messages in real time. We would love to hear from you and we regularly hold competitions for the best character accents. Angus is self published and in 2017 we hope to release the stories in hard back and paper back. We will be holding Launch Events up to Christmas 2016 - these will be announced on our Facebook page - hope to see you there. please visit the Angus Management website or complete the contact form below.